It’s probably a bi-monthly ritual: you’re at your favourite beauty emporium (Shoppers Drug Mart, Sephora, The Bay etc.) checking out the latest offerings of mascaras, moisturizers and nail lacquers, but there is just so much to choose from. How are you to know which products will be right for your skin type or beauty preferences and which ones you’ll regret buying after the first use? 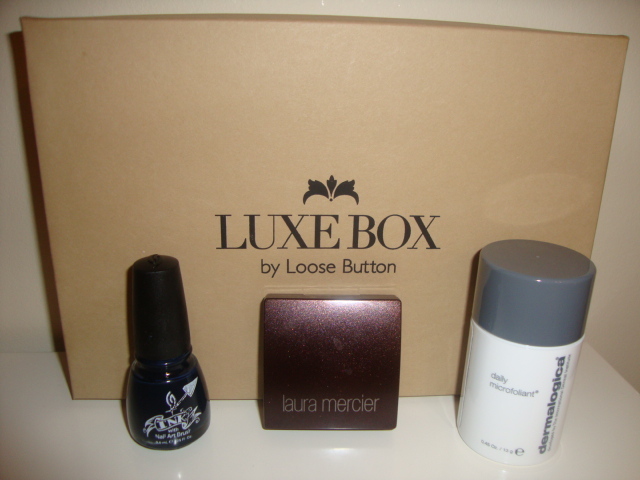 Enter Luxe Box; the solution for beauty junkies looking for the best products on a budget. Each month, Loose Button mails subscribers a pretty little box containing three to five deluxe samples of new health and beauty products (plus a sweet treat) to try. Sample brands include cult favourites like Dermalogica, M.A.C, OPI and Ahava. As a member you can register to receive the boxes once a month at the cost of $12, or sign up for the quarterly ($36 for three months) or yearly ($120 for 12 months) membership. The shipping is free and you will receive email updates notifying you on the status of your package. I was immediately intrigued by the concept of this Toronto-based start-up as I remembered hearing about Birchbox.com, a similar sample subscription site only available in the US, so I decided to give it a try with a one-month subscription. My package was scheduled to arrive just as Canada Post announced a looming strike, but Loose Button was great at keeping me updated on the situation and my sampled arrived without a hitch. The Microfoliant was by far my favourite of the pack, and I am almost certain I will be purchasing it once my sample runs out. This was the perfect way for me to try out an expensive beauty line without committing to a large bottle. The China Glaze lacquer came with an artist’s brush, which is perfect for DIY nail art. I don’t use eye shadow very often, but I tried the sandstone shade over the weekend and I found it to be a very long lasting subtle shade that will be great to have on hand whenever my eye shadow urge strikes. Overall, I was very happy with my first taste at Luxe Box and I will definitely consider subscribing again in the near future. 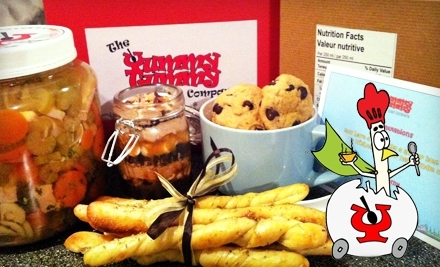 It would also make a great gift idea for a beauty product-loving girlfriend or sister. 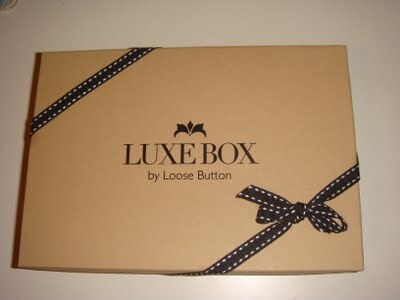 Get your own Luxe Box at www.loosebutton.com, and learn more on Twitter or Facebook. 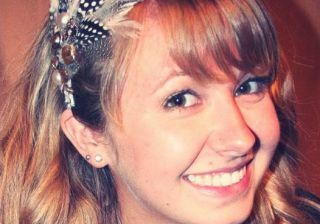 Don’t you just love pretty headbands? I recently came across these ones online and fell in love, so I decided to contact the designer, Julia Prajza, to hear about her journey to starting her accessories business. You can read the story on TalentEgg.ca here.